Collaboration is quickly becoming more common in our industry due to leveraging partners who own their respective niche within digital. This became apparent to us when our mates at BKA (now Journey) needed to redesign their existing brand and website despite being a well established digital studio that is fully capable of making websites for some of NZ’s largest brands. 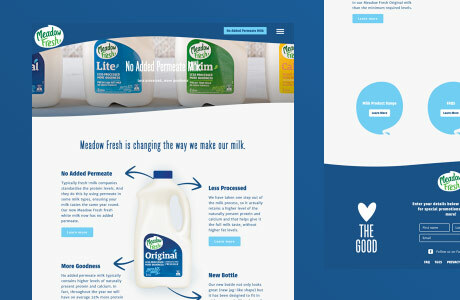 Design-wise for Journey, we took the approach of a simplified look that we felt would best showcase their great work. That included modern typography, bold colour, negative space and subtle UX / UI touches. As we continue to deepen our expertise in CraftCMS development, we aim to become known for building quality digital solutions coded entirely in-house. As a result, we get to work with businesses who understand the benefits of investing in scalable, purpose-built software as opposed to using a maintenance-heavy alternative which is often Wordpress. We’ve experimented with quite a few CMS’s to get to this point, and Craft is by far our most user friendly. It is also unique in that it is extremely flexible for a wide range of requirements. The outcome for Journey is a user friendly, scalable website that looks great and functions equally the same.